PLANS for a submarine museum in Helensburgh have taken a step forward after an application to alter a former church hall were given the green light. Argyll and Bute Council granted planning permission to the Scottish Submarine Trust to extend St Columba’s West King Street Hall to house a 53-foot long submarine. The application for a single-storey extension to the existing hall will form the main entrance for the Scottish Submarine Museum. The new accesible entrance to the halls will be a timber clad pavilion extension adjoining to the West King Street Hall, and will create two extra parking spaces. A 39-tonne or mini submarine will be displayed as the centrepiece to the museum, which will also house an interactive electronic memorial in Remembrance of the 5,329 submariners who have given their lives in the Royal Navy Submarine Service. 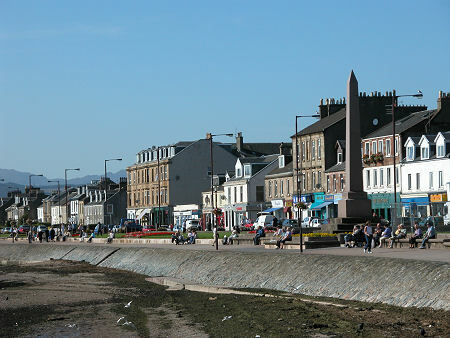 The project, which aims to attract 10,000 visitors to the Burgh, is spearheaded by Visit Helensburgh and this application is the first step in the development process. Chris Terris, general manager of Visit Helensburgh, told the Advertiser the team will be ‘cracking on’. Chris added: “The extension is simply a small single story which will be the main entrance, will house the ticket office and an upgrade to the disabled toilets. It all sits well within the existing boundary. The project has an estimated budget of £740,000, and has received donations so far of £200,000 from the Armed Forces Covenant; £300,000 for a World War II X-Craft mini submarine; and a grant of £140,000 from the council. Initially it was hoped the museum would be open in time for the Commonwealth Games on July 23, but planning permission and listed building consent were needed for substantial work at former church Hall on Sinclair Street. This entry was posted in UK Submarines and tagged Helesnburgh, museum, Submarine on July 23, 2014 by jasonlockley.